CCSS.MATH.CONTENT.1.MD.B.3 - Tell and write time in hours and half-hours using analog and digital clocks. 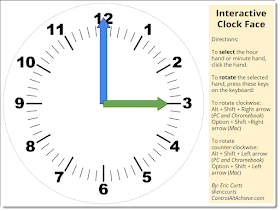 CCSS.MATH.CONTENT.2.MD.C.7 - Tell and write time from analog and digital clocks to the nearest five minutes, using a.m. and p.m.
CCSS.MATH.CONTENT.3.MD.A.1 - Tell and write time to the nearest minute and measure time intervals in minutes. Solve word problems involving addition and subtraction of time intervals in minutes, e.g., by representing the problem on a number line diagram. 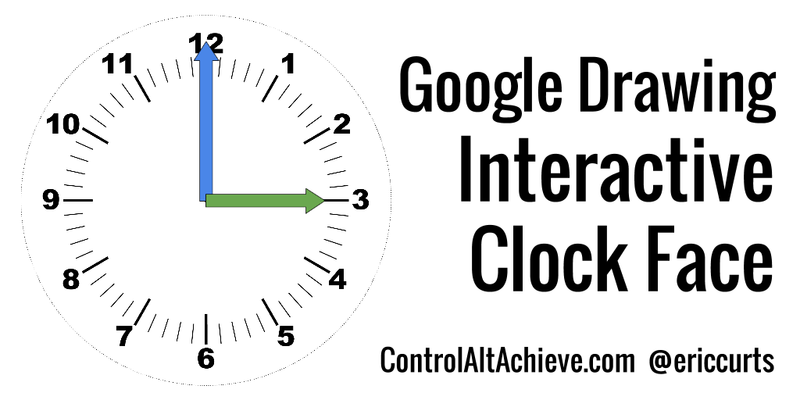 To address this I created a Google Drawing template with an analog clock face and two rotatable clock hands. 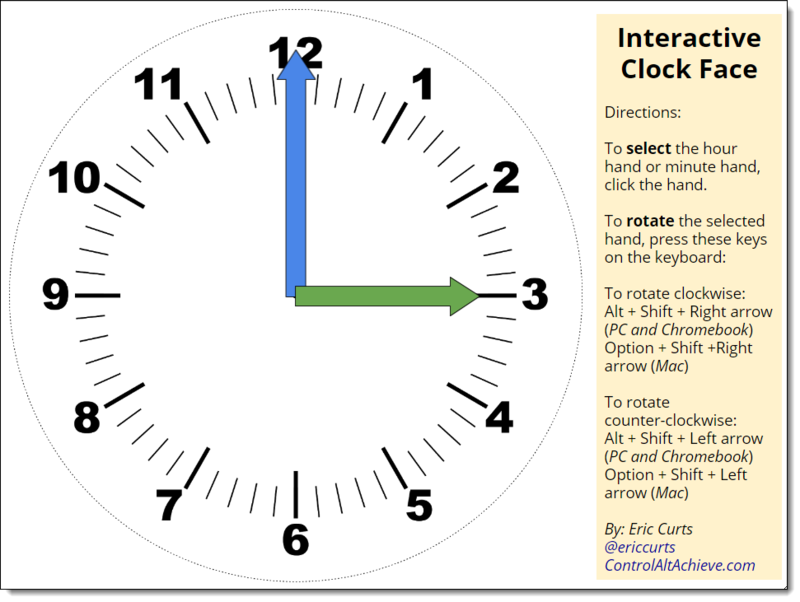 See below for a link to get your own copy of the interactive clock template, as well as directions for using it. To select the hour hand or minute hand, simply click the hand. Excellent post. I was really excited to pass this one along to the few Elementary Google Converts I know. Thank you for the clock. I shared your blog with my colleagues.